Would you like to escape the British winter? 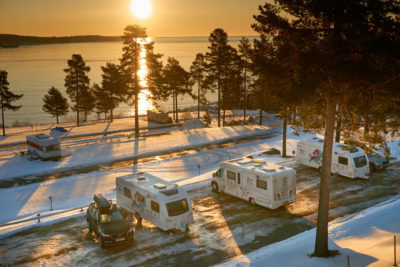 Many new motorhomes and caravans are built to withstand not only the British winter, but even colder climates, and come with ultra-warm heating systems to take off the winter chills. 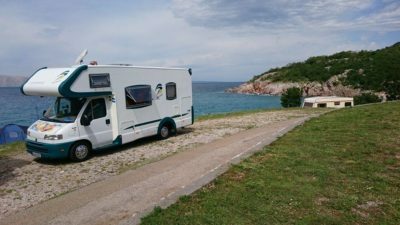 But, does the British winter and the inevitable cold and wet weather, make you want to head for the nearest ferry port to find some winter sun or alternatively lay up your caravan or motorhome until it gets a bit warmer to explore the outdoors? Or maybe you love to still use your motorhome or caravan to explore the British Isles when campsites and the roads are less busy? In this month’s community poll we’d like to know if you’d like to escape the British winter in your motorhome or caravan? We’ve got a number of options to choose from and we’ll report back the results in December. Whether you’re still touring in winter or resting up your caravan or motorhome, check out our tips for protecting your leisure vehicle in the winter months. And make sure you’re covered should the unexpected happen by making sure your caravan or motorhome insurance is up-to-date. Parking a Motorhome up for 3 months will only cause you problems in the long run with rust forming and seized parts. No I would not put a cover on my caravan, I would clean the caravan then polish it with Auto Glym then use Fenwicks Overwintering.